Located in Nelson, Beaches Nelson is by the sea, a 5-minute drive from Nelson Golf Links and 6 minutes from Tahunanui Beach Reserve. Featured amenities include complimentary newspapers in the lobby, luggage storage, and laundry facilities. Free self parking is available onsite. 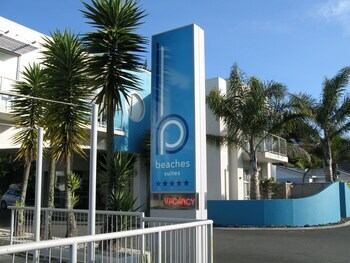 With a stay at Lisburn House in Calversham (South Dunedin), you'll be a 5-minute drive from St. Clair Beach and 6 minutes from Speight's Brewery. Free self parking is available onsite. With a stay at Waiheke Central Apartments in Oneroa, you'll be near the beach and minutes from Oneroa Beach, and close to Mudbrick Vineyard. Free self parking is available onsite. With a stay at Cloverlea Woolshed Apartment #4 in Havelock North, you'll be convenient to Arataki Honey Visitor Centre and Black Barn Vineyards. Free self parking is available onsite. Located in Methven, The Lodge is within a 15-minute drive of Rakaia Gorge and Awa Awa Rata Reserve. Limited parking is available onsite.